Carl says: The children brought back a kitten from Grandpa Keith's farm. They call him Luey (as in Huey, Dewie and Luey). Luey runs around batting his paws at Pedro, the old hound dog, which makes Pedro jump and go running. We also have a old barn kitty who has much disdain for this bunch of fluff with too much energy. Luey is on fire. Gorgeous! Luey is a very handsome heart-breaker! LOVE that squinty look!!!! So precious!!! 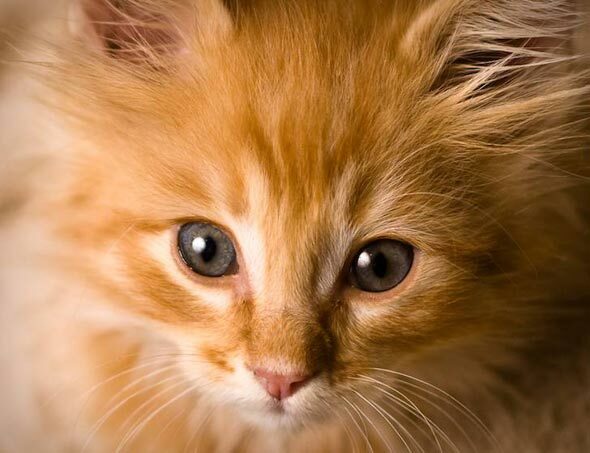 What a lovely little orange kitty!